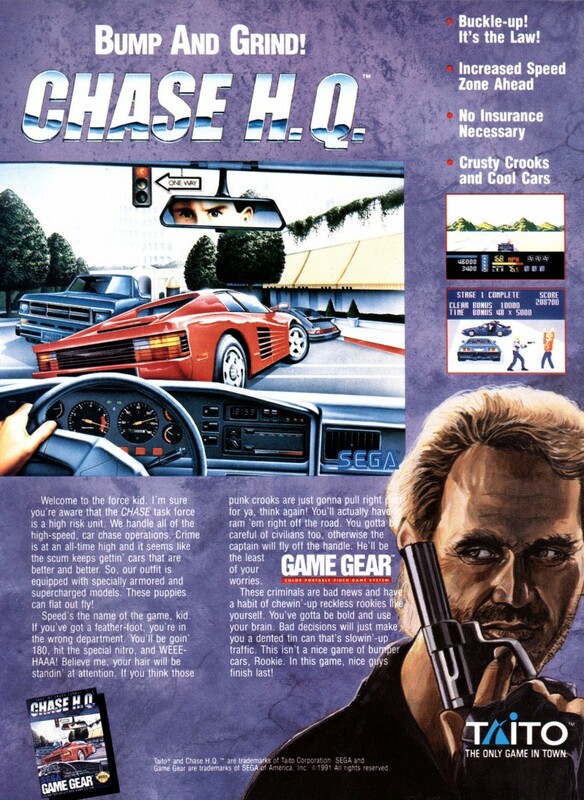 Video Game Ad of the Day: Chase H.Q. Taito’s arcade classic Chase H.Q. made the journey home to a myriad of platforms. This particular ad is for the Game Gear release, which was for all intents and purposes identical to the Master System version.